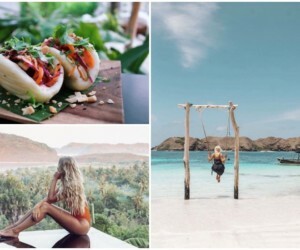 Hot New Tables in Bali July 2017: New restaurants, cafes and bars in Seminyak, Canggu, Ubud and beyond! 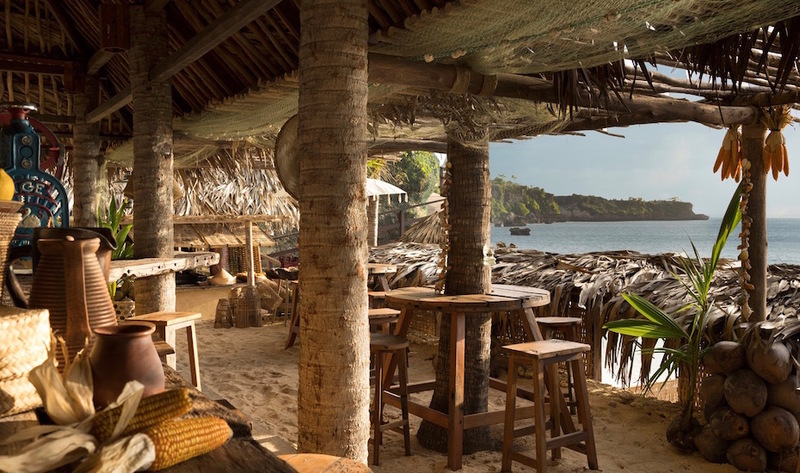 In this month's edition of Hot New Tables: Som Chai, Ji Terrace by the Sea, Kubu Beach Club. SoulBytes, TYGR, Burgerz, Cabina Cafe, and more! Authentic Thai from a celeb street food chef? 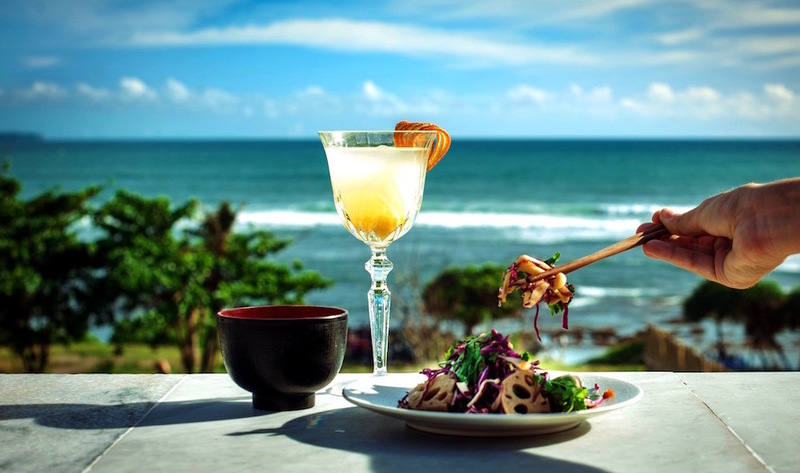 Japanese delicacies with easy, breezy ocean views? 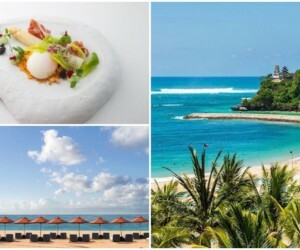 Fancy bites and Champagne sips at stunning new beachfront venues that’ll set your foodie soul on fire? Tick, tick, tick! 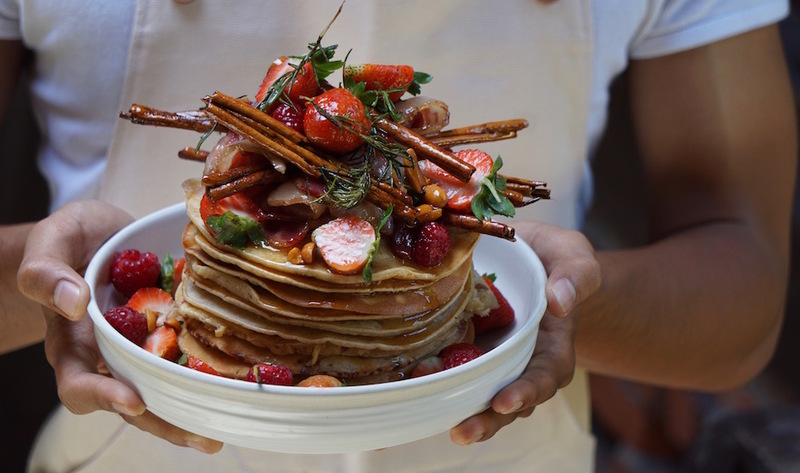 Yes fellow food fanatics, we’ve got some seriously exciting new gourmet digs for you to tuck into in this month’s edition of Hot New Tables, from quick and casual nibbles, to cool new coffee shops and big-name burgers. Get your plates at the ready! Full disclaimer: we are VERY excited about this brand new venue by celeb Street Food Chef, Will Meyrick. 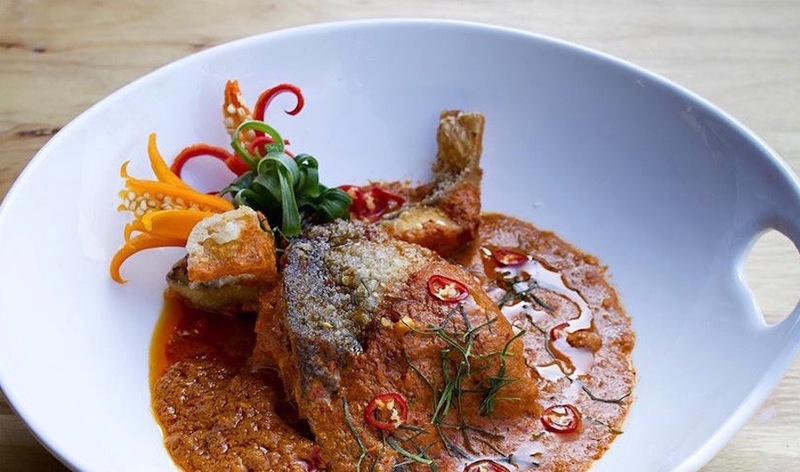 He’s the man behind four of our fave gourmet spots on the island [Mama San, Sarong, Tiger Palm and Hujan Locale] and he’ll be opening his fifth Bali venue this month – this time taking on Thai cuisine using locally sourced ingredients. Hallelujah! And while we’re teetering on the edge of our dining chairs ready to get a taste of some signature, street-style Thai bites, we’ve heard the venue is going to be just as awesome as the food. We’ll give you a clue: it’s the same enormous space that was once Republik 45, now transformed into a stylish sanctuary of modernity. Excited? You should be! If you’ve ever dined at any of Will’s trailblazing restos, you’ll know this is one to add to the list when the doors finally swing open. Som Chai, Jl Raya Kerobokan No.86A, Kerobokan. Coming soon. Ji Terrace by the Sea: Come for the view, stay for the contemporary cocktails and scrummy sushi! If you’ve already fallen head over flip-flops in love with Ji Restaurant at Hotel Tugu Bali [you’re not alone] then you’ll be very excited to hear that this stunning Japanese fusion restaurant has just given you even more reason to keep coming back for those contemporary cocktails and scrummy sushi rolls. Now set over three floors, the jewel in the crown is Ji’s brand new rooftop terrace that’s dishing up modern interpretations of Asian classics alongside tropical beats and 180 degrees of undisturbed vistas over Canggu beach. We’re going to go as far to say that this is the hottest new spot in the ‘Gu, whether it’s the gorgeous design, sunset views or drop-dead-delicious menu you fall for. Ji Terrace by the Sea at Hotel Tugu Bali, Jl Pantai Batu Bolong, Canggu, p. +62 361 4731701, e. ji@tuguhotels.com. Open daily from 5pm. You had us at hello, Ocean Champagne Bar! Champagne by the ocean? You had us at hello! 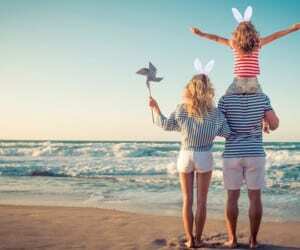 That’s right bubble addicts, this gorgeous new venue at The Legian Bali is making all of our dreams a reality, officially launching on 8th July with plenty of bubbles, beachfront vistas and the sweet sounds of live jazz. Upping the ultra-luxe ante, the Ocean Champagne Bar will be popping open all of the big names, including Cristal, Dom Perignon, Veuve Clicquot and Billecart Salmon. And in true five-star fashion, there’ll also be caviar, canapes and small gourmet bites to indulge in. Go on, you deserve it! 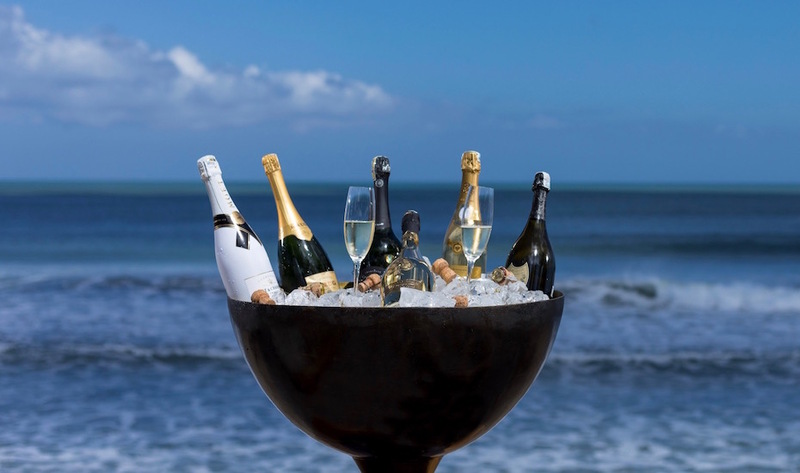 Ocean Champagne Bar at The Legian Bali, Jl Kayu Aya, Seminyak Beach, p. +62 361 730 622 e. reservation@thelegianbali.com. 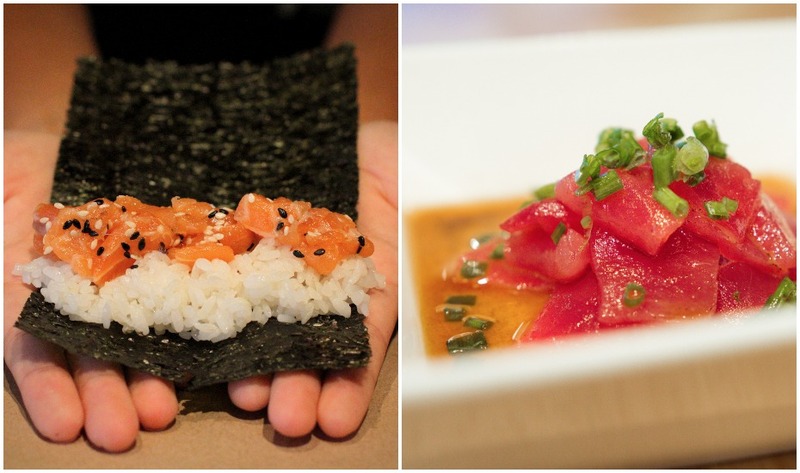 It seems that EVERYONE is talking about TYGR – Canggu’s latest sushi spot. And after getting a taste of the just-made hand rolls with fresh-from-the-cooker rice, we can see why. At this brand new Japanese joint, freshness is the name of the game. There’s no cold nasi, stale seaweed, or slightly questionable sushi train here. Just made-to-order, rolled-right-in-front-of-your-very-eyes hand rolls with still-warm nasi, shatteringly crisp nori, and oh-so fresh fillings. And each roll is served direct from the hand roll specialists, too. Try one of the combination sets to get a taste of everything [our fave is the snapper and the jackfruit] or make a bowl and pair with some scrummy sides, like karaage, edamame or agedashi tofu. And it goes without saying, a Sake or Sapporo tops it all off. TYGR, Jl Pantai Berawa, p. +62 813 5331 7389 e. info@tygrsushi.com. Open daily 4pm – 10pm. Cabina is a pool-bar combo that keeps us coming back for cocktails, coffee and cool interiors! 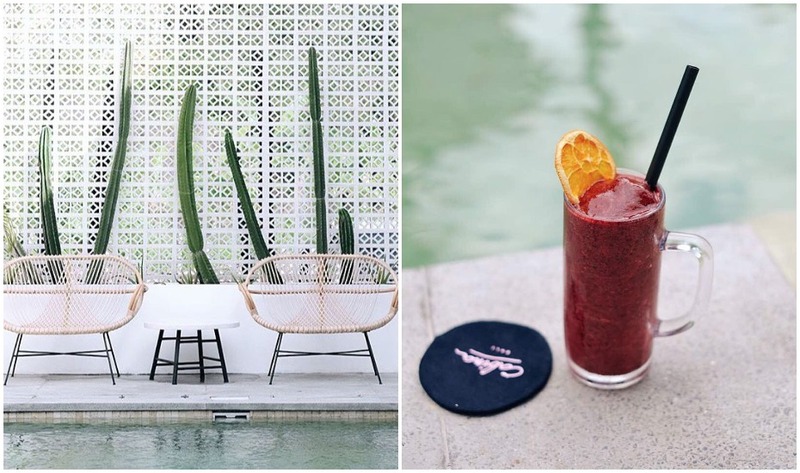 Knowing just how to get our attention, Cabina is the island’s cool new pool-bar combo in between Seminyak and Canggu that ticks off everything we could ever ask for. A contemporary, tropical design that’s centred around breezy, island living? Check. Daily happy hours that keep the punchy cocktails flowing? You betcha. A menu packed to the brim with delicious bites, freshly squeezed juices and hella strong coffees? Absolutely! Add to that the number of lolling spots to laze in the sunshine, chill out with an ice cream or even prop up with a laptop for a co-working space with a difference, and you’ll understand why we’ve barely left since the opening. 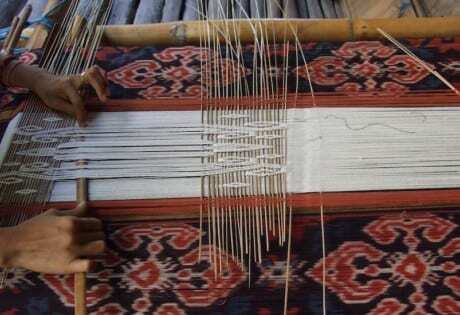 Cabina, Batu Belig, Gang Daksina, Seminyak-Canggu, p. +62 361 4740 989 e. hello@cabinabali.com. Open daily 9am – 6pm. If you ask us, you can never have too many beach clubs in Bali, and this latest oceanfront hangout at AYANA Resort and Spa Bali has shot right to the top of our must-laze lists. It’s located on one of Bali’s last remaining hidden white sand beach coves, accessible only via 197 steps or a quick 35-second ride up and down the AYANA inclinator. And unlike any other five-star beach club on the island, there’s not only aquamarine waters and dramatic limestone cliffs tempting you to the sand, but also traditional Balinese touches, like island-inspired architecture [think shells, woods, bamboo, stones and traditional rooftops], local Balinese dishes like Bakso Balung, Balinese style Tiki cocktails, and even massages under coconut trees to take you back to the good ol’ days. And in exclusive AYANA style, the club is currently only open to in-house guests, so you better check in first to reap the rewards of this beachfront beauty. Kubu Beach Club at AYANA Resort and Spa Bali, Jl Karang Mas Sejahtera, Jimbaran, p. +62 361 702 222 e. reservation@ayanaresort.com. Open daily 7am – 10pm. 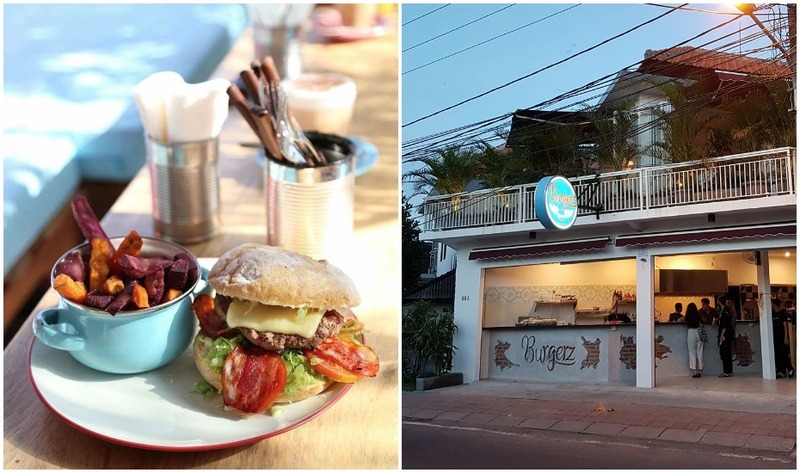 There’s only one thing more exciting than a new burger joint opening in Canggu, and that’s a new burger joint from two local legends with big names behind them. Introducing Burgerz: a delish collaboration between the owner of a famous burger hotspot in Chamonix, France, and the brother of our girl crush, Inka Williams. This talented duo have brought the best burger recipes from France to the island [try the bacon and cheese “Special Burgerz”] with some exclusive Bali additions thrown in for good measure, like waffle buns instead of bread, and hash brown patties for the burger-munching veggies and vegans – yum! And if that wasn’t enough, all of the bread is baked daily by a French baker, and all straws, take away boxes and coffee cups are 100% biodegradable made using corn starch and cassava. Guilt free burger feasting? We’ll take it! Feed your soul in more ways than one at SoulBytes! 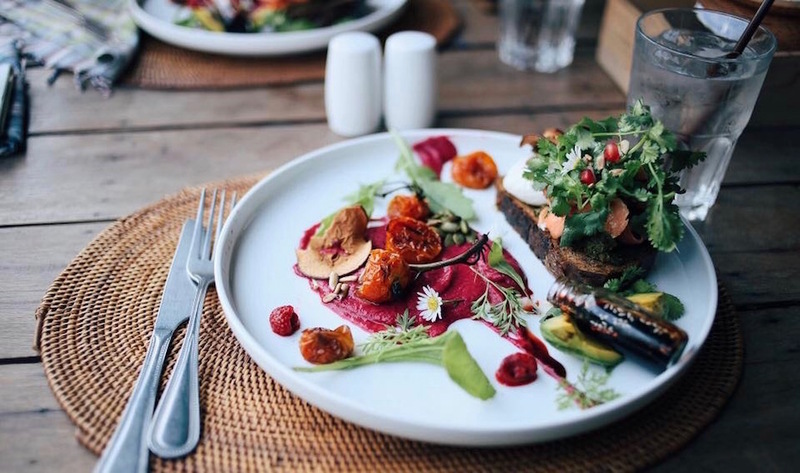 As they say, you are what you eat, and at SoulBytes – Seminyak’s brand new feel-good cafe – they take this concept one step further. Not only does this fresh new daytime spot use only organic, locally-sourced and sustainable ingredients in its healthy menu, the peeps behind the brand make sure the entire cafe experience is as soul-stirring as the food served. What does that mean, we hear you cry? We’re talking Hug Spots [a mistletoe-like concept where, if two people arrive at the same time, they are encouraged to hug]; Pay-It-Forward-Coffee [the option to pay for the next guests’ coffee as a gratuitous act of kindness]; Croissant Charity [a percentage of all croissant sales goes to a charity of your choice]; and the Kindness Box [a place to write a kind message to a stranger]. So go ahead, gobble up that feel-good factor and feed your soul in more ways than one. SoulBytes, Jl Petitenget No. 98, Seminyak, e. soulbytes.bali@gmail.com. Open daily 7am – 6pm. Craving a creamy curry? Head to MAYs Urban Thai Dine, and don’t forget your MOFO chilli! 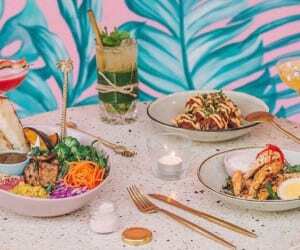 What was once the spiced-up MOFO Kitchen has recently transformed to become MAYs Urban Thai Dine – a just-as-spicy destination serving refined street-style Thai specialties in a modern, quirky setting. We were lucky enough to get a taste of MAYs Prawn Pad Thai, pomelo salad and intensely creamy curries during the opening night, and we’re telling you right now that these guys have managed to get everything just right from day one. Oh, and the MOFO mascot, Medzo the Corgi, is still strutting his stuff onsite, and MOFO’s famous chilli is still available for purchase, to take the spicy goodness home with you. Resistance is futile! 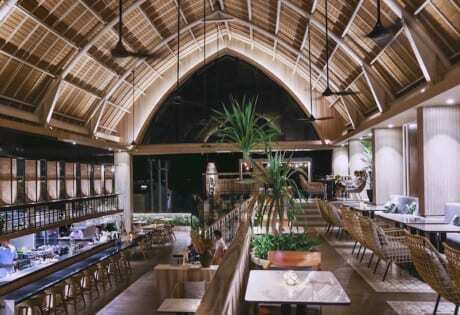 MAYs Urban Thai Dine, Jalan Petitenget No 200, Seminyak, p. +62 361 9345192, e. bali@mays.restaurant. Open daily 11am – 11pm. Never again will you think of French food as heavy and unhealthy. Folie Kitchen & Pâtisserie is bringing a fresh new feel to French cuisine, and throwing in some Asian flavours for a local twist, too. In fact, Chef Stephane Simond has cooked for Michelin-starred restaurants around the world [and for the Formula 1 team, no less] so he knows a thing or two about tweaking French staples to suit his environment. 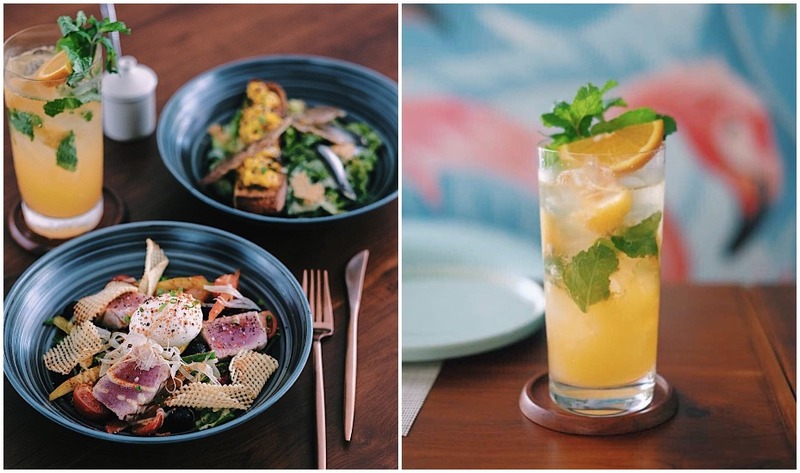 Try the Nicoise Salad with grilled tuna, local vegetables and a zesty lemon dressing, and wash it down with the Kintamani Mojito, made using Bali’s famous Kintamani oranges. Délicieux! Folie Kitchen & Pâtisserie, Jl Subak Sari No.30A, Canggu, p +62 811 3987 676. Open Tuesday – Saturday 8am – 10pm & Sunday 8am – 3pm. 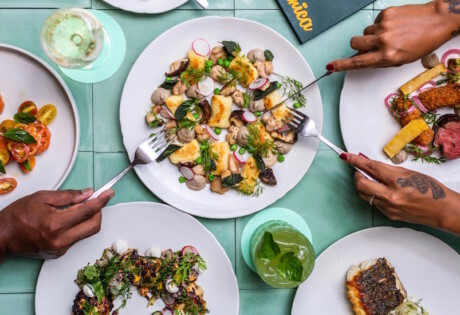 Following in the fabulous footsteps of July’s Hot New Tables, next month is gearing up to be as delicious as the last with new openings on every jalan. 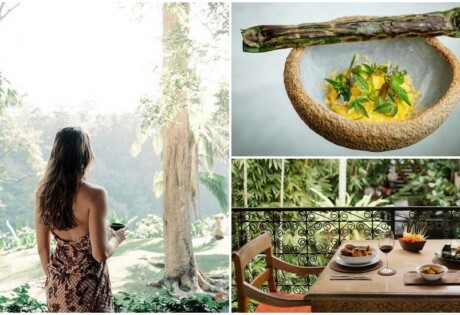 Look out for Two Trees, a new organic cafe in Berawa; Coffee Cartel, the latest coffee house to jump on the caffeine craze; and Ulu Cliffhouse, a stunning new day club overlooking the Uluwatu waves. See you next time!